Office furniture is the cornerstone of your workspace and when purchased and designed correctly is a catalyst for inspiration. Professionals in the field of design know how the workspace affects imagination and free-flow of thought. However, everyone deserves a workspace that brings out the ingenuity in their work. Creativity is a way of life that embraces originality and makes unique connections between seemingly separate ideas which makes it important for everyone’s work environment to be arranged in a way that stimulates imagination, ingenuity, and inspiration. You experience better health: Think fewer sick days and increased stamina to do the work assigned to you. Studies show that being creative brings a wide range of health benefits. Your employee value increases: When your employers see how creative you are, it helps with potential promotions. Most company execs prefer well-rounded employees who are not only technically skilled but creative as well. Higher productivity: Ultimately, the goal of creativity is to fuel productivity. This is possible because a dash of innovation can bring about fresh ideas that can improve how you complete your work. When you follow the latest office design trends, you begin to learn about the function and style of office furniture. Depending on your job and office surroundings, you need to learn how to arrange your office so that it stimulates your creative process. To expand your imagination we have curated some tips on the types of furniture available for your office. If you want to change your office environment from chaotic to calm, start with a clean slate. Clear everything out and keep only what you absolutely need. Then, look for office desks and chairs with a simple but functional design. 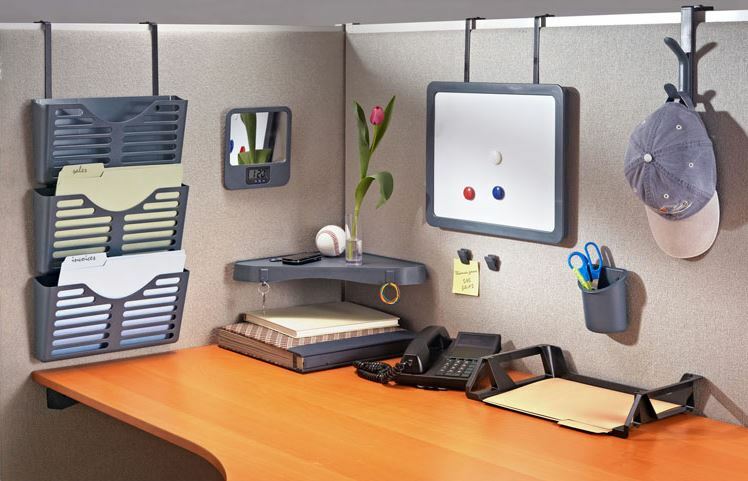 Keep office decorations at a minimum to avoid interruptions and distractions. Another thing that blocks creativity is clutter. Imagine trying to come up with ideas while stacks of paper sit on your desk! The best way to clean up your office table is to designate storage spaces for files and other archives. These may come in the form of cabinets and shelves. In addition to this, make sure to always address issues and projects as soon as possible. With your space properly organized, this will be much easier. This way, you won’t end up with tons of pending paperwork on your desk which then overwhelms you and blocks your genius from shining through. Some of the best home office desks in the market successfully capture both function and aesthetics so all you have to do is select your preference. Start with a quick online search for office furniture stores – both online and near your location. But, before you search, write down a list of features that you need for your office furniture. This includes the area measurements (to make sure that the furniture fits in the space), color motif, preferred physical attributes, and purpose. 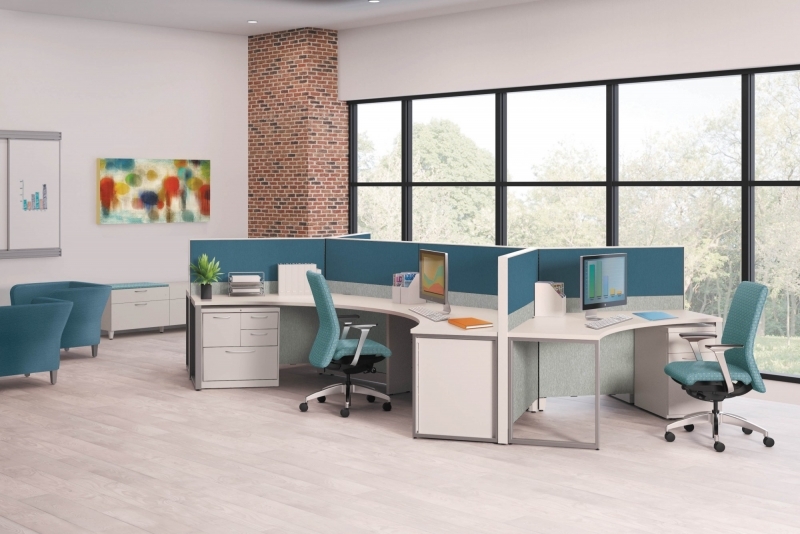 In recent years, cubicles have lessened in popularity because some believe that the closed nature of this kind of office setup hampers creativity and teamwork within the workplace. But, this might not be entirely true because recent research revealed that people working in open office layouts are more exposed to background noise, which increases the production of adrenaline. This causes a natural tendency to become less innovative. You don’t have to go back to the clunky four-corner cubicle for the sake of avoiding claustrophobia, but you can do well with open-type shelves and waist-level dividers. Again, don’t buy furniture and decorations that distract you from your work. They may look amazing, but if they regularly cause a distraction, you won’t get your work done in a timely manner. Some examples of distractive office items include a corkboard with loads of attached papers, gaming devices, and computers with social media access. There’s something smooth and flexible about curvature in office furniture, and it gives an illusion of a free workspace. This is in contrast with hard-edged tables and office corners that look too stern to welcome any sense of flair and creativity. Of course, you don’t have to choose wacky shapes just to get out of the boxed conundrum. You may start with tables with rounded corners or seating furniture in unconventional designs. On top of using furniture that promotes creativity, the following tips will also give you more ways to tap into your inner artist. Bring in the Outside: Studies point towards the benefits of natural light in terms of work productivity and creativity. As much as possible, open your windows and let natural sunlight enter the office. Aside from lifting your spirits, sunlight is also known to boost immunity and disinfect the room naturally. Take breaks: Don’t fall into the trap of overworking yourself. Allow yourself some time away from the desk to stir up more out-of-the-box ideas than you can imagine while sitting still in front of your office table. Listen to stimulating music: A recent study strengthened the belief that music promotes creativity through divergent thinking. You may choose between soothing music to make the room sound more peaceful, or uplifting classical sounds to turn on the energy and enthusiasm in your office. If you find yourself stuck in a rut with your creativity, your office furniture and environment may be the cause. Follow these suggestions when you purchase office furniture or redesign your office for the free flow of your thought processes and ingenuity.